The scapula is ossified from seven or more centres: one for the body, two for the coracoid process, two for the acromion, one for the vertebral border, and one for the inferior angle. 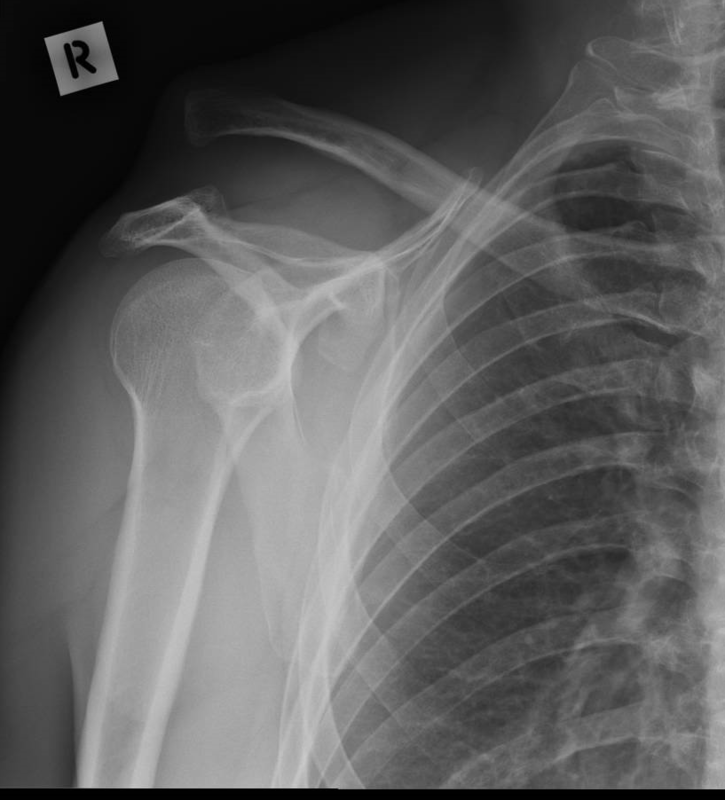 Ossification of the body begins about the second month of foetal life, by the formation of an irregular quadrilateral plate of bone, immediately behind the glenoid cavity. This plate extends so as to form the chief part of the bone, the spine growing up from its dorsal surface about the third month. Ossification starts as membranous ossification before birth. After birth, the cartilagenous components would undergo endochondral ossification. 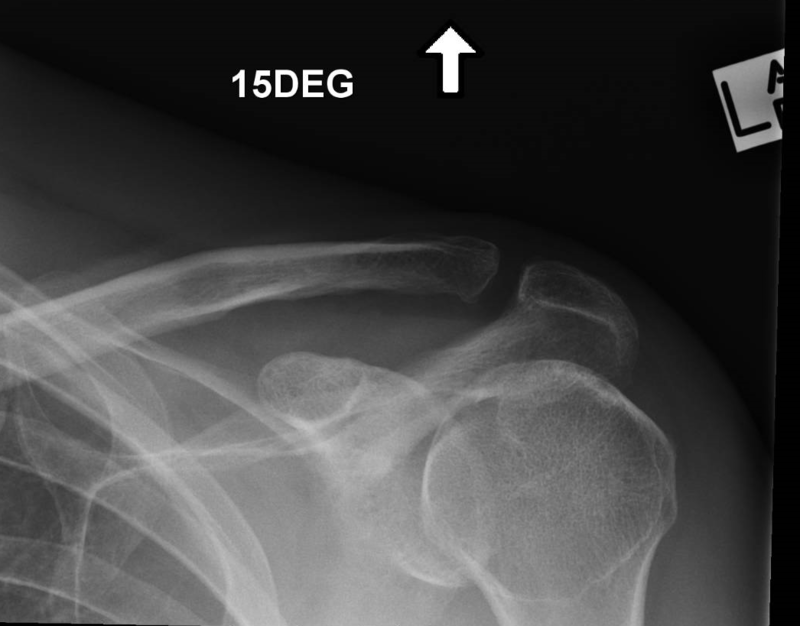 From the fifteenth to the eighteenth month after birth, ossification takes place in the middle of the coracoid process, which as a rule becomes joined with the rest of the bone about the fifteenth year. 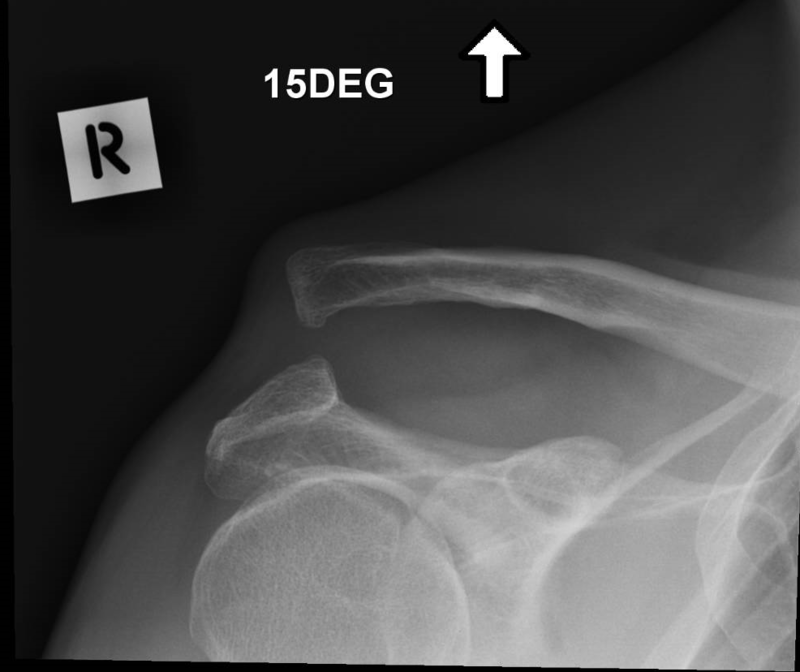 Between the fourteenth and twentieth months, ossification of the remaining parts takes place in quick succession, and usually in the following order; first, in the root of the coracoid process, in the form of a broad scale; secondly, near the base of the acromion; thirdly, in the inferior angle and contiguous part of the vertebral border; fourthly, near the extremity of the acromion; fifthly, in the vertebral border. The base of the acromion is formed by an extension from the spine; the two separate nuclei of the acromion unite, and then join with the extension from the spine. 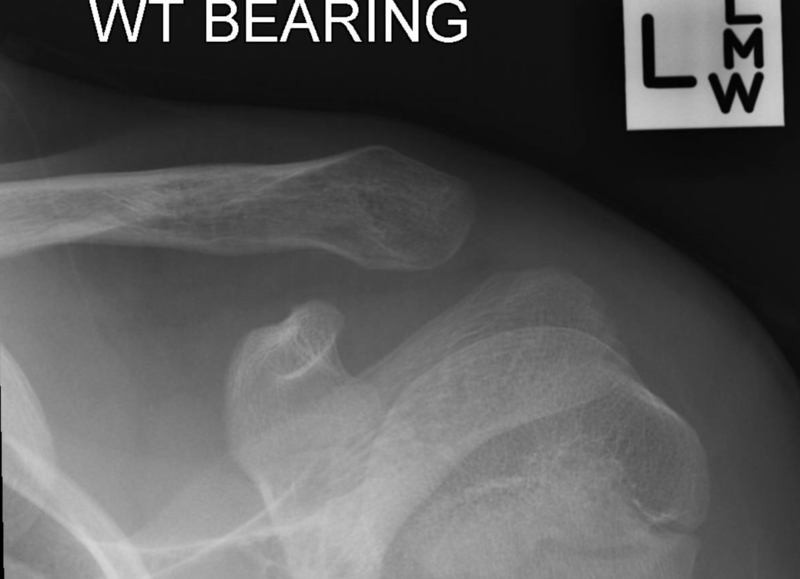 The upper third of the glenoid cavity is ossified from a separate centre (subcoracoid), which makes its appearance between the tenth and eleventh years and joins between the sixteenth and the eighteenth. 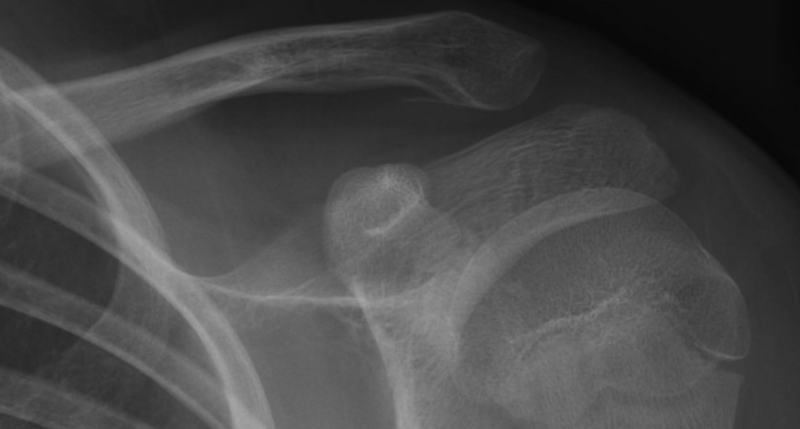 Further, an epiphyseal plate appears for the lower part of the glenoid cavity, while the tip of the coracoid process frequently presents a separate nucleus. These various epiphyses are joined to the bone by the twenty-fifth year. The humerus is ossified from eight centres, one for each of the following parts: the body, the head, the greater tubercle, the lesser tubercl e, the capitulum, the trochlea, and one for each epicondyle. The centre for the body appears near the middle of the bone in the eighth week of fetal life, and soon extends toward the extremities.At birth the humerus is ossified in nearly its whole length, only the extremities remaining cartilaginous. During the first year, sometimes before birth, ossification commences in the head of the bone, and during the third year the center for the greater tubercle, and during the fifth that for the lesser tubercle, make their appearance. By the sixth year the centres for the head and tubercles have joined, so as to form a single large epiphysis, which fuses with the body about the twentieth year. At the end of the second year ossification begins in the capitulum, and extends medially, to form the chief part of the articular end of the bone; the centre for the medial part of the trochlea appears about the age of twelve. Ossification begins in the medial epicondyle about the fifth year, and in the lateral about the thirteenth or fourteenth year. About the sixteenth or seventeenth year, the lateral epicondyle and both portions of the articulating surface, having already joined, unite with the body, and at the eighteenth year the medial epicondyle becomes joined to it.